I know what you are thinking….What took me so long to get to this place to review it? I don’t know. I just know I am glad we finally made it. We went on a Sunday and barely enjoyed a great brunch. Literally we got there 5 minutes before they closed that menu. 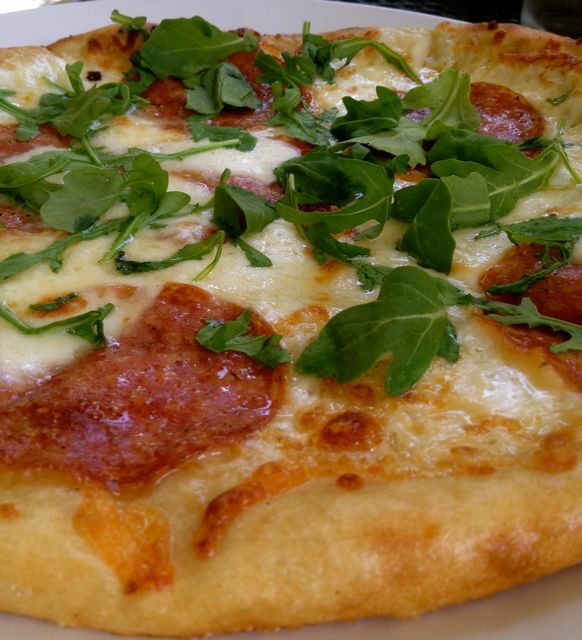 Things looked so good we ordered quickly….before our kids got there. Yeah, we are bad parents. Even though the afternoon was hot, we sat outside and they put up umbrellas for us. With a Mimosa in hand I was ready to sit back and relax. After our kids showed up we had them order off the other menu. They had to order off the bar menu because we were still about 3 hours before the dinner menu started. I saw the corned beef hash on the menu and jumped at the chance to try it. I’m positive it said it came with 2 poached eggs, but when I got it, they were scrambled. All hashes need to have over easy eggs in my book, it’s part of the hash. I didn’t say anything, although I wish I would have, and ate it anyways. 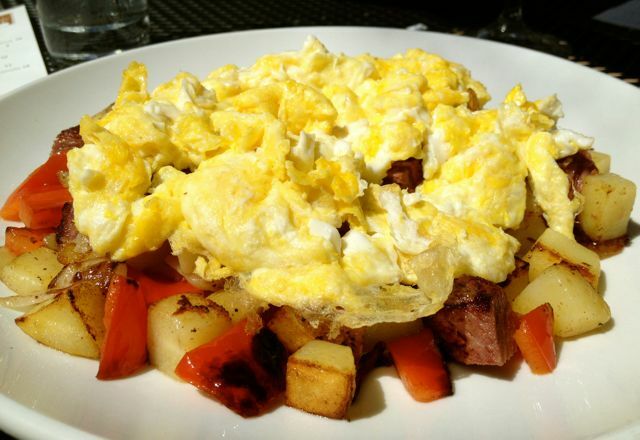 It was potatoes with peppers and onions and chunks of corned beef, with scrambled eggs on top. It was good, but it wasn’t anything to write to you all about. It needed a sauce, like a mustard sauce or something. I felt like I was eating scrambled eggs with potatoes, I guess technically I was. 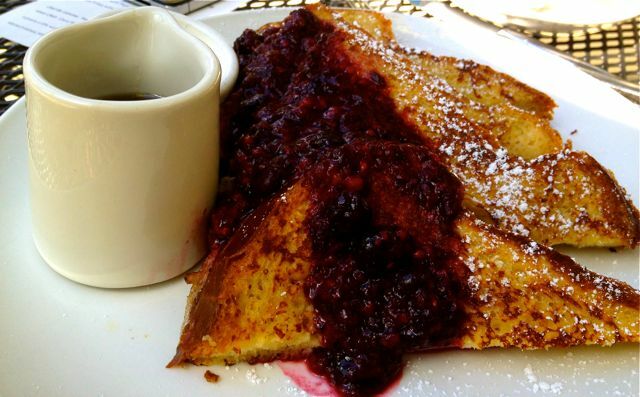 My husband also ordered off the breakfast menu and he got the french toast with fresh berries, which was really good. The kids ordered pasta. Great choice! 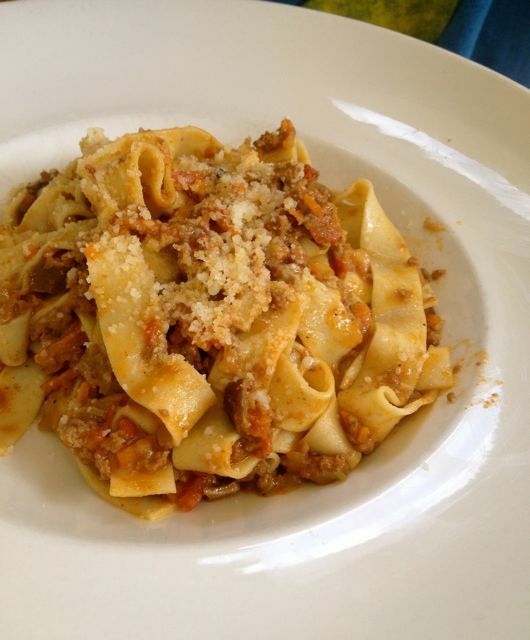 Tagliatelle with a Veal Ragu and Gnudi. The tagiatelle was a very large portion, which my son enjoyed. It was very tasty, but I haven’t met a Ragu I didn’t like, well except for the bottled kind labeled Ragu…YUCK! 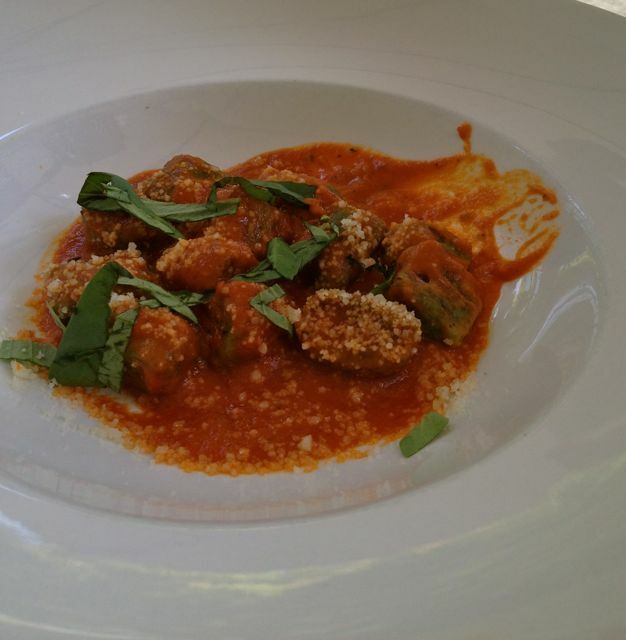 The Gnudi was explained as being similar to Gnocchi. It did look just like it, and it had great flavors. The portion was much smaller, but it was perfect for my daughter. Just to make sure we tried a little bit of everything we also ordered the pizza of the day which was salami pizza with arugula. I loved that it did NOT have a tomato base. It was very fresh tasting, light crust and a perfect addition to what we all had. I can’t wait to go back and enjoy the fire pits in the evening, and I will for sure be doing that. Atmosphere is very sleek and modern. The outside seating is fun with the gas fire pits. It’s a place that begs you to hang out for awhile. Pricing was on the higher side. The brunch was not too bad, but the pasta dishes ran about $18 a plate, but it’s great food, so no complaints on the price. Service was incredible. Our server was helpful and was outside checking on us quite a bit. Nel Centro is located in Downtown Portland in the Hotel Modera.